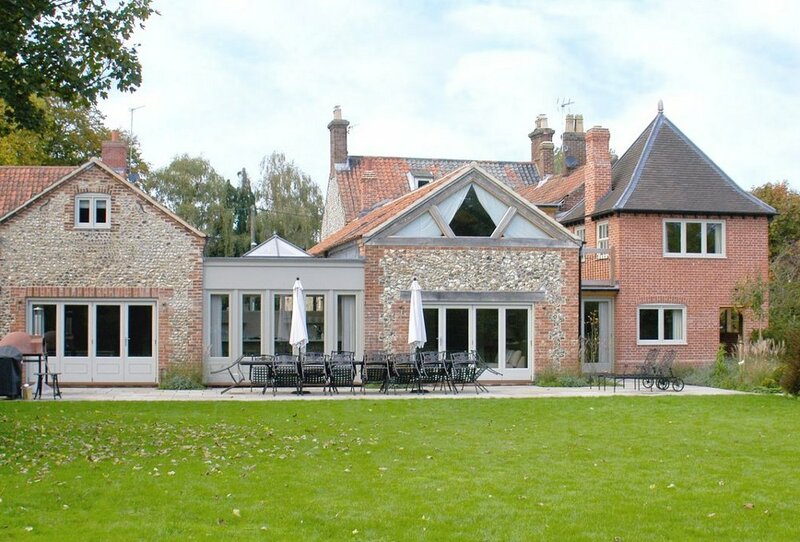 For those looking for a holiday with friends and family in Norfolk, it's well worth having a look at Caradon House. Caradon House sleeps 20 people in 10 bedrooms - so is big enough to host a group of friends. You'll find Caradon House in the village of East Rudham, near Fakenham. Caradon House sleeps 20 people in 10 bedrooms - with the bedrooms being made up of 6 doubles and 4 twins. With some of the bedrooms also being en suite. You have a few TVs at the property, with a large TV in the lounge, along with a TV in the play room; and another TV in the games room. There is a DVD player, Wi-Fi is included too. Caradon House comes with a washing machine, tumble dryer, three dish washers, an oven, microwave, and an Aga. There are also three fridge/freezers. The library has an open fire - which is the perfect place to spend an evening during an off-peak break. There is also gas central heating too, so you don't need to rely on that open fire for all your heating! Your electricity, bed linen and towels are all included. Outside you have a large lawned garden with a patio area with seats and a table. There is also a gas barbeque. Holidays at Caradon House start on a Friday, with mid-week and weekend short breaks available. Should decide to leave the splendour of Caradon House, you'll find plenty of things to see and do around this part of Norfolk. The coast is only a few miles north, with a variety of towns to explore: there's Hunstanton with its seaside entertainment - and the Wash Monster (an amphibious vehicle). Or Blakeney with its seal watching tours. There's also Sheringham which has a steam railway running into Holt. The city of Norwich is Norfolk's county town, and has plenty of shops, restaurants and pubs. There's also plenty of history to see at Norwich Castle. back at Caradon House, you'll find the nearest pub, shop and restaurant all 100 yards away. 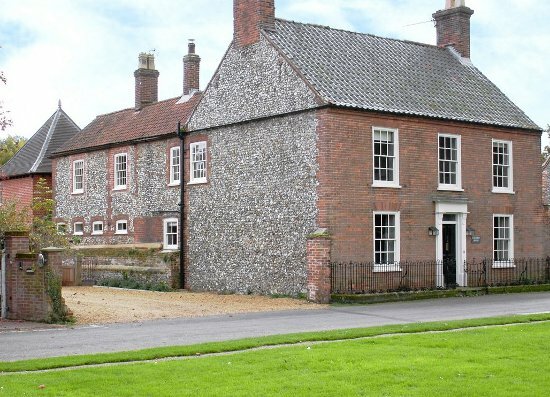 Should Caradon House not be to your liking, but you fancy staying in the area around Fakenham, you might well be interested in the cottages below. All these cottages are within a few miles of Caradon House.